As much as any other industry the tech industry is obsessed with trends. 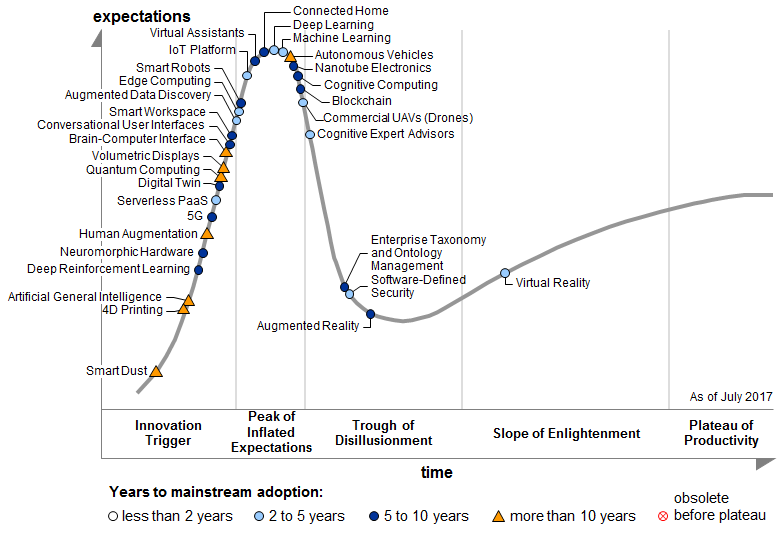 Figuring out what verticals or emerging tech is at the start of their hype cycle is investor pixie dust and predicting what will be ‘the next big thing’ means it is wise to keep your eyes trained to incubators and accelerators – where the innovation is bubbling under, waiting to overflow. Here at SETsquared, we’re not driven by trends or hype curves, however we are able to look at the diversity of our ventures in order to see which sectors have the highest number of applicants and member companies. It’s no longer just about the traditional demarcations of hardware/software. The granularity and specificity of the technology that manifests in SETsquared allows for businesses and products to overlap intricately like a complex Venn diagram. I say this so as not to reduce any company below to their most compelling feature or product. Where this may be most apparent is with interrogative businesses that use large volumes of data. Our member Fluence World is utilising machine learning and natural language processing to accurately mark and grade further and higher education essays to startling accuracy, however they’re not considered a ‘big data’ company. Conversely, Gapsquare, utilise large volumes of company data to readdress the gender pay gap, but are not spoken of as ’tech for good’ despite their positioning being quite plain. In the healthtech/biotech the similarities are as stark as the differences – all with a goal of improving quality of life for patients but with the solutions being as varied as computer games for CBT intervention in adolescents (Handaxe), to deep brain stimulators for sufferers of Parkinson’s disease (Bioinduction). Sound manipulation is a feature of both businesses who won The University of Bristol Student Enterprise Completion, receiving free membership at SETsquared, which is arguably a trend in academic research. However, Complia are working with soft robotics and looking towards the professional musician market and Metasonics offer ultra-high fidelity control over shaping, directing and focusing sound waves in real time, proving that sound manipulation is the key signifier in tremendously different products. These examples might flummox the uninitiated, whose perception of the tech startup world is all hipsters drinking flat whites while designing apps for the consumer market. While we do have our fair share of bearded coffee drinkers at SETsquared Bristol, the ratio of business to consumer (B2C) and business to business (B2B) is lower than a traditional Shoreditch co-working space. That being said, our B2C companies are some of our most successful – parental device monitoring app, Screen Time Labs, were acquired by a US based parent company in 2017, and local artisan retailer marketplace, Good Sixty, smashed their £150K target on CrowdCube last month. Finally, we head back to the hype curve, where we see IoT platforms nearing the peak of the wave – we’re proud to have welcomed the second IoT Boost cohort to SETsquared Bristol this April – the ventures are as diverse as smart home design (Inventyourhome), agritech (Lettus Grow), and cyber security (Cerberus Laboratories). Proving again that, despite a commonality of sector, the diversity within that division is varied and complex.